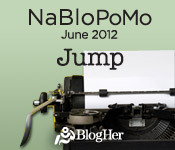 The NaBloPoMo question of the day is: How do you feel about new people jumping into your life? Okay, I'm just going to be brutally honest here. I don't think I am a 'people person'. Some people hear this about me and think I am crazy to even say such a thing... while some others might agree! I have a lot of friends, and most of them have been my friends for a very long time. If you were to see with me said group of friends, you would probably think that I am a 'people person', but that is because I know them well and I know that they are great people. Some of my best friends who know me the best are the ones that I have been friends with for 15- 20+ years. And Heaven knows I am thankful for them, because they've known me through the good times and the bad, and they still love me anyway! And I really love them too. The thought of new people just "jumping" into my life automatically makes me cringe.I know that sounds terrible. I'm really not a horrible, mean person. If someone new comes up to me and introduces themselves and strikes up a conversation, I will certainly carry on a conversation with them, and who knows? I may even end up with a new friend! I am just not typically the type to approach people and be the one to start a conversation. Maybe I am just shy, or maybe I am truly just not a 'people person'. Either way, I have tons of family and friends in my life who have been there for me through thick and thin, and I know that I can trust them. Trust is something that must be earned with me, so that probably is why the thought of random people jumping into my life is unsettling. Once I get the chance to know you, chances are that I will like you and enjoy your company, I just have to get past that initial phase of awkwardness! So what about you? How do you feel about new people jumping into your life? Are you a 'people person'? iN MY LIFE if someone wants to be friends with me, then they have ulterior motives and are users and this happens 100% of the time and therefore I h8te people. I let them in, men or women, and I get crapped on unbelievably true for years now. I already gave up and don't bother anymore. No, I know what you mean! I think you are an introvert--which has so many "bad" connotations to it, because our culture kind of embraces individuals that are more outspoken and have TONS of friends. I've always preferred the company of a few who know me REALLY well over "acquaintance" friends. LIke you said, knowing that there are people that you trust and who know you and accept you--that's something that takes time to build. I think of myself as a friendly person, and I'd love to make new friends--but I recognize that that is a longer process vs. a shorter one. Making good friends takes time for me, as I can be a bit shy :) But again, I know just what you mean! Coach Purse and Wallet Giveaway!! 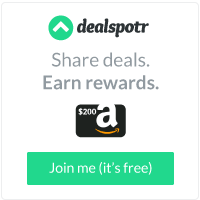 June Deal of the Month at Umi!